I Can't Stay Silent This Time. Okay, so the title of my blog is called "Eating Paint.." but it is about things relate to art-making. Something happened today that is related to art-making, because it affected a large employer of people in my state, and it is also a place that sells "art supplies." It made me mad. But no... don't get mad... negative... pessimistic. I have a problem with this. Shed the 'craft store.' Jettison it from your universe. Opt for the legitimate art supply store. Order online (even if you are a beginner, you can often find a better deal on a case of pre-stretched canvasses over a few 5-packs at the craft store), or visit the actual paint store or hardware store or educational art supply that is family owned and run and does not necessarily operate based on its "shareholders'" wishes because it is a small business that simply exists for meeting the needs of a community and sustaining itself and its owners and families. They exist and are WONDERFUL. Sometimes they go the way of the large chain and run into corruption, sometimes not. Sometimes they meet regulation and we lose a lovely candy-colored favorite paint pigment, sometimes not. Either way, you won't see two extra aisles of "how-to" books on crochet and drawing trees or fifty different types of fake flowers, because these places are not for crafters. The craft store does have a role (and mixed media and installation folks may still need them!) but it seems the time has definitely come to quit using these bigger craft stores as the convenience stores of art supply and remove them from fine artist use altogether. Here are some really awesome local places to buy art supplies in the OKC area, and I don't know enough about them to know if they are suing the Supreme Court to deny benefits to their employees, I just know they are smaller businesses and they have a better selection of the supplies I need and a lot less of the craft crap, and they also give a fantastic customer experience. Neither of them are Hobby Lobby or Michael's. You will notice a difference and love shedding the "craft store experience." 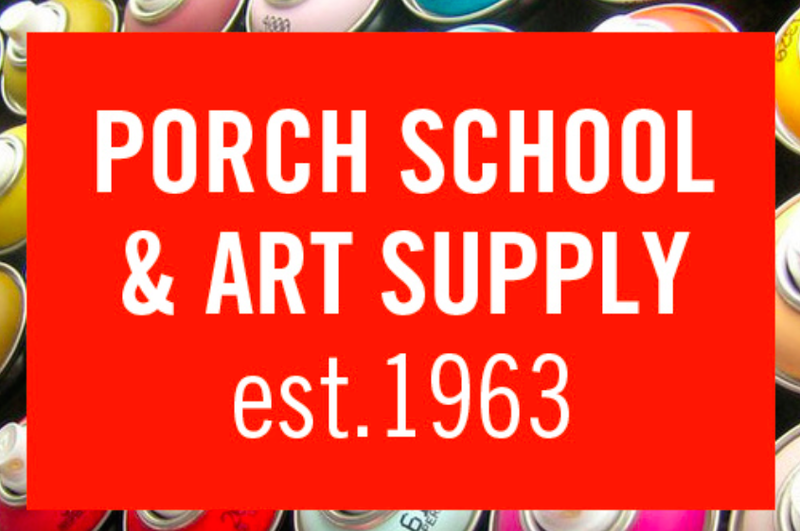 Porch Art Supply - a great resource for art educators as well - these people are fantastic and one thing the craft stores DON'T do is they always help me lug my big hauls of stuff to my car :) They also put out a catalog on their social media and do sales.